Meeting up in Cairo to search for a new, common musical identity. 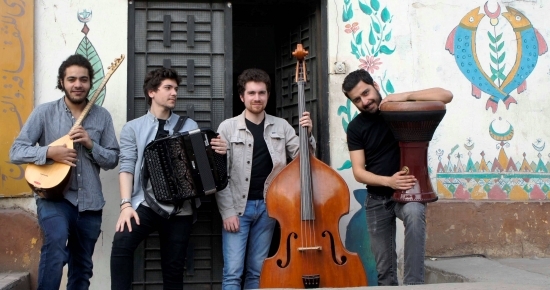 Such is the aim of this group of young artists from the world of oral and improvised music in Europe and the Middle East. A unique new blend of timbres, born of the need to bridge the distance between the shores and sonic worlds of a rapidly changing area.